Over the years, I’ve heard lots of questions about making homemade pie dough. I’ve also heard all sorts of excuses why folks don’t want to make their own pie dough. But guess what? Homemade pie dough really isn’t that hard. Sure, it takes a bit of practice. It also takes longer than unwrapping a frozen pie shell from the store. But Homemade Pie Dough tastes SO much better than the store bought stuff…and it’s way cheaper, too! But here’s the thing–there are a lot of different versions of homemade pies. 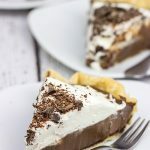 This post is an attempt to categorize just a few of the more common techniques needed to make your own delicious homemade pie. Keep the Butter Cold: One of the most important things about making pie dough is to keep the butter cold. The goal here is to roll out your dough into a thin sheet, and you’re going to have a heck of a time rolling warm butter. So store the butter in the fridge until right before you need it. I often make the ball of pie dough and throw it back in the refrigerator for 15 minutes before rolling it out. (The heat of the room and your hands can warm it up quickly.) Sometimes I even put the rolled out pie shell in the fridge or freezer for a few minutes before adding the filling and putting it straight into the oven! Use Enough Flour When Rolling: You’ll hear bakers say to be careful about how much flour you add when making pie dough. True. Too much flour can be a bad thing. But pie dough stuck to the table when rolling is also a bad thing. As soon as you notice your dough sticking to the table, lift up the dough and toss a small amount of flour under the dough. Combine this idea with the cold butter from above and you you should have more success! You should be able to move the dough around on the countertop without it sticking. 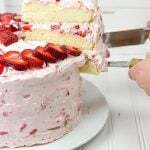 Use a Pastry Cutter: Pastry cutters allow you to quickly cut the butter into tiny pieces. I used to cut butter into dough using two knives, but I find it SO much easier using a pastry cutter! Patch It Up: It’s not the end of the world if your pie dough starts to tear. This dough is pretty forgiving. If it tears, just pull a small piece from a corner or edge and patch it up. It might not look the best, but it will absolutely be fine in the oven! Make It Early: Don’t stress yourself out trying to make the pie dough when your guests are arriving in 20 minutes. Make the pie dough ahead of time, wrap it in plastic wrap, put it in a sandwich bag, and store it in the freezer. Just make sure to thaw the dough in the refrigerator for about 12 hours before you need it. The Rolling Pin is your Friend: Just like flouring the countertop, it’s also important to flour the rolling pin. Be gentle with the pin and tell the pie dough where you want it to go when you roll it. Also, lift up the pin before you reach the edge of the dough. Otherwise your edges will be much thinner than the middle! And when it comes to transferring the rolled dough into the pan? Just flour your rolling pin, gently roll the pie dough onto the pin, move it to the pie dish, and gently unroll the dough into the dish. Galette. Galettes are closely related to single crust pies, although they are typically a bit more rustic. Instead of using a pie pan, galettes are often free form…giving them that rustic, homemade look that is perfect for an Autumn pie. Check out these Rustic Apple Tarts for an example of galette-style pies. Blind Baked Crust. Pie crusts are baked “blind” when baked without a filling. When baking blind, make sure to dock the crust by using a fork to lightly prick all over the bottom of the dough. This allows the steam to escape when baking, thus keeping a flat bottom for your pie shell. Another trick is to scatter a cup or so of dry beans across the bottom of the pie when baking blind. The extra weight keeps the bottom shell in place. (I then keep these beans in a small bag in the pantry and pull them out next time I bake a blind crust.) This style is often used for cream-based pies (Banana Cream Pie, Coconut Cream Pie, etc. Double-Crusted. Just like it sounds, double-crusted pies feature a top and bottom crust. When baking a double-crusted pie, don’t forget to vent the top crust. Basically cut a few small slits in the top crust to provide the steam a way to escape as the pie bakes. Double-crusted pies are often used for fruit pies (Cherry Pie, Apple Pie, etc.) Check out this Apple Cranberry Pie for a fun example of a double-crusted pie. Lattice Pie. Lattice pies are a cross between a single and double-crusted pies. They feature a solid bottom crust, but instead of a solid top, the pie dough is cut into strips and then “woven” to create a lattice design. The same types of pies that work for double-crusted also work for lattice (Cherry Pie, Apple Pie, etc.) Check out this previous post I wrote on making a Bourbon Sour Cherry Pie using a lattice design. Crust Designs. While this last style isn’t technically a different style of pie, it does provide a way to be creative and fun with your homemade pies. Fork Crimped. One of the easiest designs for the edge of your pie is to simply press a fork into the dough all the way around the outer crust. Finger Crimped. Equally as easy, another idea is to use your fingers to “pinch” the crust into a v-shaped pattern. Braided. If you are looking to be a bit more adventurous, try cutting 3 long strips of pie dough about 1/4″ wide. Braid these strips together and set aside. Brush the edge of your pie with egg wash and then gently press the braided edge onto the pie crust. And finally, I can’t talk about homemade pies without suggesting to always sprinkle the top of the pie dough with a coarse sugar (such as turbinado) before baking. A generous coating of coarse sugar gives the baked pie dough a wonderfully sweet, crunchy texture…the perfect addition to your favorite pie! In a medium bowl, combine the flour and salt until well blended. Using a pastry blender or two butter knives, cut in butter until mixture forms small pea-sized balls. Flour table well and roll out dough until approximately 1/8 inch thick. Use caution at this step to ensure that dough does not stick to rolling pin or table. (Dust pin and table if dough begins to stick.) The dough should be approximately 12" in diameter for a single pie crust. Roll finished dough onto a well-floured pin and unroll into pie dish. Cut off any excess pie dough and shape edges as desired. Note regarding amount of water: Start with the smaller amount (1/8 cup) and gradually add more water as needed until the dough forms a single ball when compressed. The goal is to add only as much water as needed to hold the dough together. Sometimes this will be closer to 1/8 cup and other times it may be closer to 1/4 cup depending on humidity and other factors. Well, in the past I have failed at making pie crusts, so much so that I don’t do them. Not even make pies. But, now with all your tips I will try it once again. My Mother was such a wonderful cook, and her pies were out of this world. And I worry that I can’t match up to her pies since my crusts are a mess. Wow, thanks Jaan! Making homemade pie dough does take a bit of practice, but it’s not near as hard as people might think. Just keep the butter (and then the dough once it’s made) super cold so that it doesn’t melt and stick to the counter. Use flour as soon as it starts to stick, too! And don’t be afraid. Good luck, and let me know how it turns out!! This post brought back memories of Home Ec classes in middle school, where we learned how to do the “crimping” with our fingers. I had always thought it was really difficult until I tried it! It makes the pie look more professional and it’s not really that hard. My mother-in-law was just talking about pies today for “The Great Thanksgiving Dinner of 2013.” Ok, so slight exaggeration on the name, but we were talking pies. The best ever is my step-father’s Dutch Apple Pie, I think he cheats and puts in too much butter and sugar, but oh man, is that good stuff! Thanks for the reminder, Ruby! 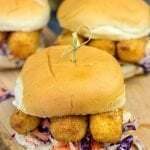 I’ve used a similar recipe with ginger ale in the past! Last time I baked a pie crust with butter it slid into the pan and made one huge mess! I ate some of it because I thought it a waste of good butter and threw the rest away. 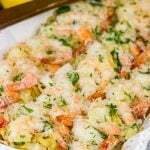 I’m going to try your recipe and hints, mainly freezing or refrigerating just before baking. Let’s hope it works! I hate to waste. Hi, I ended up turning my pie crust into mini hand pies and this dough worked perfectly for that use. I refrigerated the crust as you recommended. Then I put the little pies into the fridge for ten minutes before I put them into the oven and they were wonderful, The crust was flaky, tender, excellent! Thanks for the tips; no more store bought pie crust for me! Hey Lia! 1 stick of butter is 8 Tbsp, or 113 grams. I’m updating the recipe to include grams as well as tablespoons. Thanks for pointing that out…and happy pie dough making!! 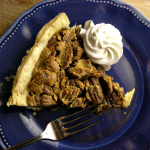 #1 – Food processors are great for making pie dough, I’ve been doing it for many years. Just be careful not to overdo it. #2 – Latest tip going around, freeze your butter and grate it into the flour. Everyone is doing it now, works great. 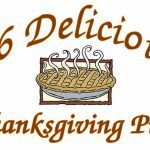 #3 – Know the correct temperature and time for your pie dish. Shiny metal, dark metal, glass, ceramic all bake differently. 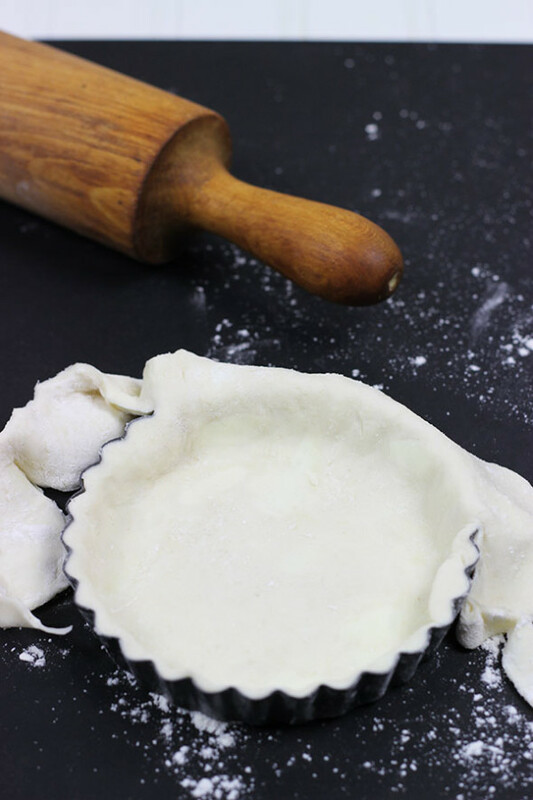 #4 – When baking fillings in a raw crust, brush the bottom pastry with egg white before filling it. It seals the moisture out and helps prevents sogginess. 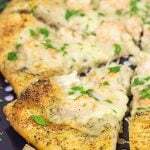 #5 – To this day, one of my favorite pie crusts is an oil crust (no butter, no cutting in, and no chilling the dough!) from my 1960’s Betty Crocker cookbook (I actually use light olive oil). Always nice and flaky. Hey there, Gramma Kaye! Thank you so much for all of these tips! 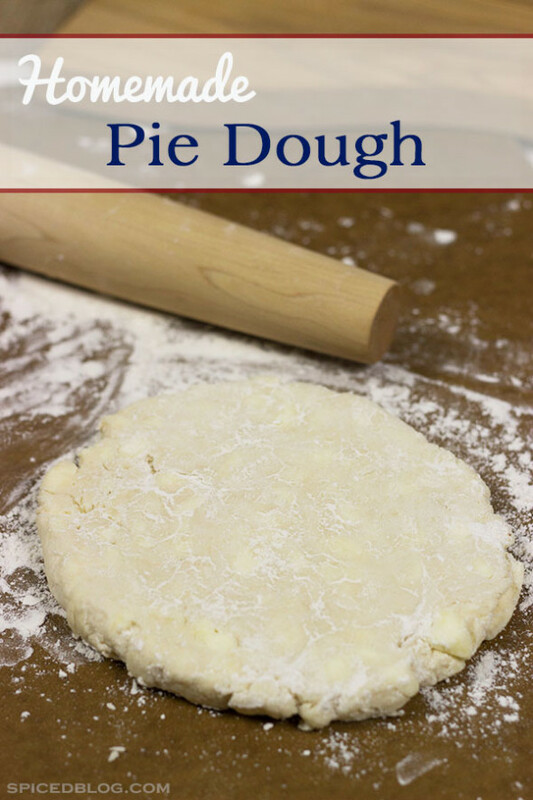 I just recently tried making this pie dough using the frozen, grated butter trick…and it worked beautifully! So much easier than pulling out the pastry blender or two butter knives. I’ve never tried brushing the dough with an egg white before filling it…excellent trick! I can see why it would work, so I’m definitely putting that on my list for holiday pies this year. Thanks again for taking the time to leave such awesome tips! Happy Baking!